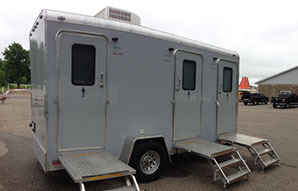 We offer two different portable restroom trailer options. These trailers are perfect for weddings, concerts or long term remodeling projects! 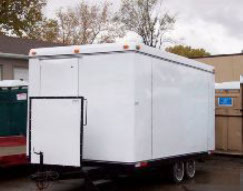 When a regular portable restroom just won't due these trailers offer a higher end look for any event. 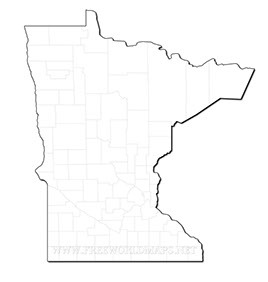 Please click either trailer below for more specifics!